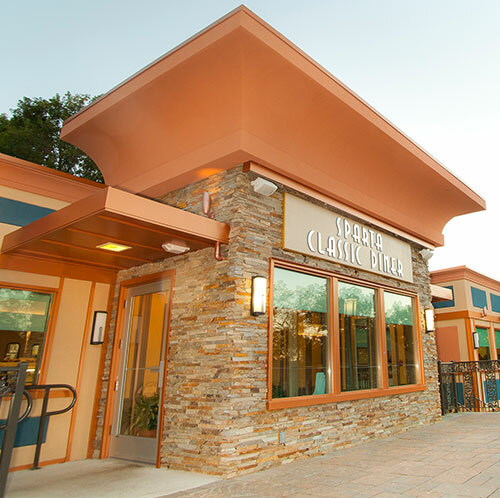 Sparta Classic Diner has been serving the community since 2012. Our credo is “Comforting, yet sophisticated”, and that means we make every effort to serve you the best comfort food diners are famous for, but with an eye towards the sophisticated palette, and placing a high importance on the health and well-being of our guests. As your family’s neighborhood restaurant, we make every effort to deliver the most flavorful and healthy meal to each of our guest daily. Whether it be locally sourced produce, grass-fed beef, gluten sensitive options, or house-baked desserts, we make every possible item from scratch and with the wellness of our guests in mind. We never rest on our laurels and we constantly push ourselves to improve and innovate for our guests every day. When you walk into our dining room, you are dining with family and friends. Our team is made of professionals that have the experience, energy and attitude to provide an outstanding experience for our guests. We are family run neighborhood restaurant and are proud to be a part of a community that supports and grows with us.